I totally appreciate you and I look forward to helping you improve your website. You can expect to hear from me in about 7 days, if you haven’t heard from me in 10 days check you spam folder (hopefully I didn’t land there!) and if my email isn’t there then send me an email to [email protected] and I’ll get you straightened out! Buy Me For Just $7! You Don’t Need to Have a Gift to Know What Your Audience Wants. Discover what your audience wants. 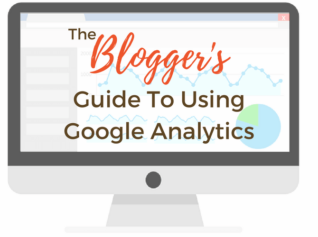 Google Analytics can be confusing but my Blogger’s Guide to Google Analytics makes it easier to understand!